Open the door to a new way of understanding News & Live Production. Place the centre of attention on users. VSNExplorer Plugin for NRCS has been designed to guarantee that users have the maximum control of all the creative tasks related to News Production, while becoming much more efficient and faster. How? By providing them with a single workspace to perform all their daily tasks, avoiding to switch between windows. This way, journalists and editors have access from one single window to all the necessary features and functionalities needed on their daily work: from advanced files’ search and news writing to video editing and delivery to the playout. In essence, this web plugin enables the user to edit and unify video files and graphics over the video, and then drag and drop the final piece into the news item, including the possibility of re-editing it afterwards. All of it within the interface of the NRCS system of its choice! VSNExplorer plugin for NRCS places a special focus on users, allowing them to perform all their daily tasks from a single workspace without switching between windows. 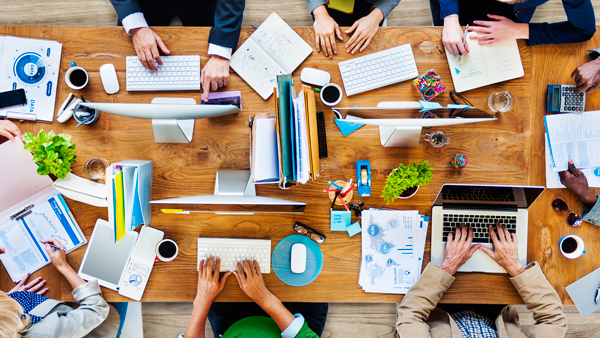 This way, it allows them to have a total control over all the creative tasks related to content creation, even allowing them to access to all the required systems to complete their work directly from the same interface (MAM, archive, NRCS, CGs, web video editor, studio playout and VoD or Streaming platform). This user-centric focus allows broadcast professionals to pay attention to creativity and content creation, while VSN takes care of integrating and automating all the workflows needed, in order to provide them with a single workspace. This way, journalists become extremely more quick, agile and efficient in content delivery, giving the audience what they want, when and how they want. VSNExplorer plugin for NRCS it is compatible with most NCRS systems currently available in the market, including Octopus 8, Inception from Ross Video, iNews from Avid, ENPS from AP News and others, and is integrated with the NRCS via the Media Object Server (MOS) Communications Protocol. Moreover, it has been fully developed in HTML5 to avoid the need to use or install additional hardware or software. VSN’s MOS Media Bus is is also integrated with CGs systems via MOS to read the catalogue of graphic templates that are available, allowing the journalist to enhance the news item by synchronizing the media with graphics. Basically, this web plugin enables the user to edit and unify video files and graphics over the video with frame accuracy, and then drag and drop the final piece into the news item. Moreover, users can also create lower- third graphics related to a concrete news piece, so they can be triggered, either automatically or manually, to be shown live while on air. Thanks to the VSNExplorer plugin for NRCS, users can have direct access to VSNExplorer MAM advanced functionalities, including Wedit, directly from their NRCS system interface. This way, users can edit video and audio directly in VSN’s MAM system, record voiceover tracks, include graphics into the timeline, and send the final news piece to broadcast through a studio automation system such as VSNLivecom, all within their NRCS GUI. Users can also download an Edit Decission List (EDL) file, in order to continue the video editing in a Non-Lineal Editor (NLE) if necessary. Thanks to VSNExporer plugin for NRCS, users have at their disposal within the interface of their NRCS one of the most complete MAM systems of the market, including one of the most agile web video editors available in the market, in order to complete the media management workflow even more. The web plugin also allows to send the news pieces to any Studio Playout system, WebTV platform or social media channel just with one single click and directly from the same NRCS interface. 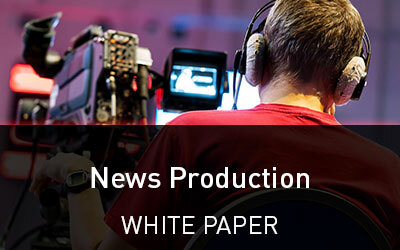 Moreover, it is also integrated with VSN’s Studio Playout solution, VSNLivecom, and its channel-in-a-box solution, VSNOne TV, for those companies that are looking for a complete solution for news production, graphics and multi-platform delivery of content to implement within their facilities. How to be the first to get the news out? Download here the White Paper. See this VSN's product in action in the 8TV 's case study. VSN and Spectra Joint Solution enables users to share, store, catalogue, automate their daily operations and in the end, simplify the management of their media assets on the most suitable work environment required, on premise or cloud. Do you want to see our VSNExplorer Web Plugin in action?